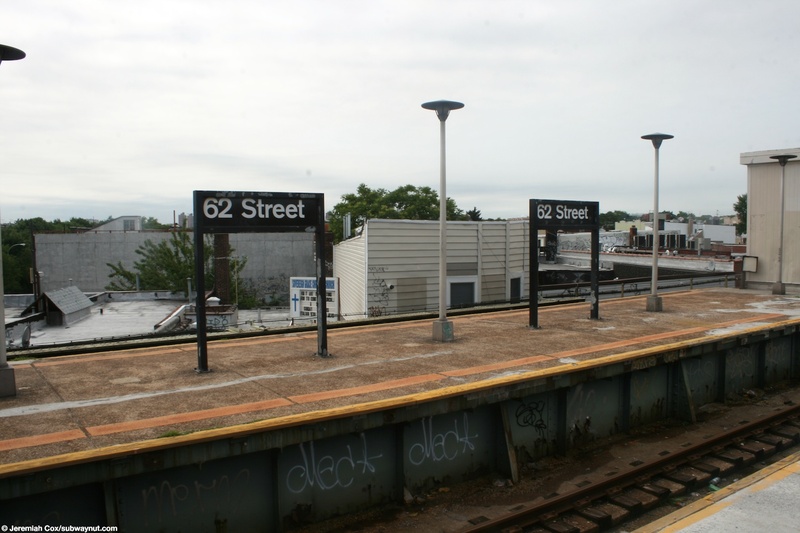 62 Street/West End Line is the station where the West End Line's elevated crosses over the Sea Beach Line's trench and a transfer is provided that has proven extremely useful to providing diverted riders shorter doubling backs when construction needs to be done on the Sea Beach or West End Lines. 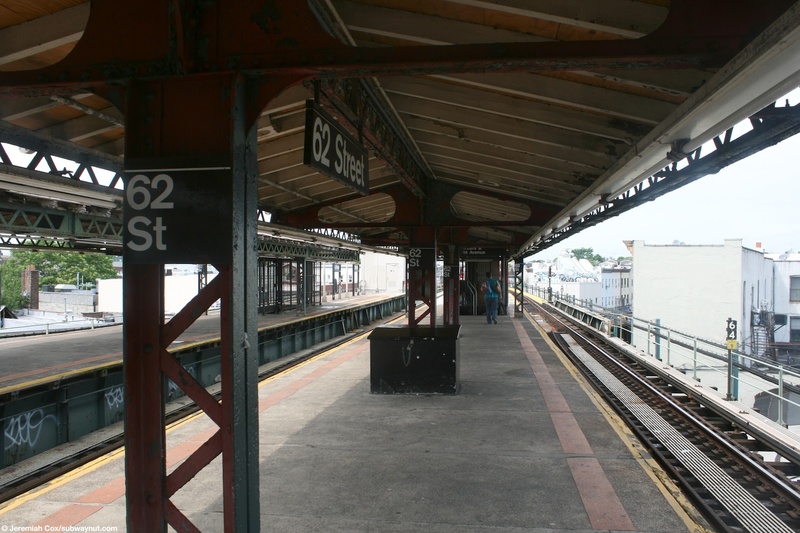 When this happens generally shuttle buses are not used but trains are diverted in one direction from either or both (both N and D trains run via one line in one direction to Coney Island and back via the other line) lines between Coney Island and 36 Street, closing off service for one direction and track. 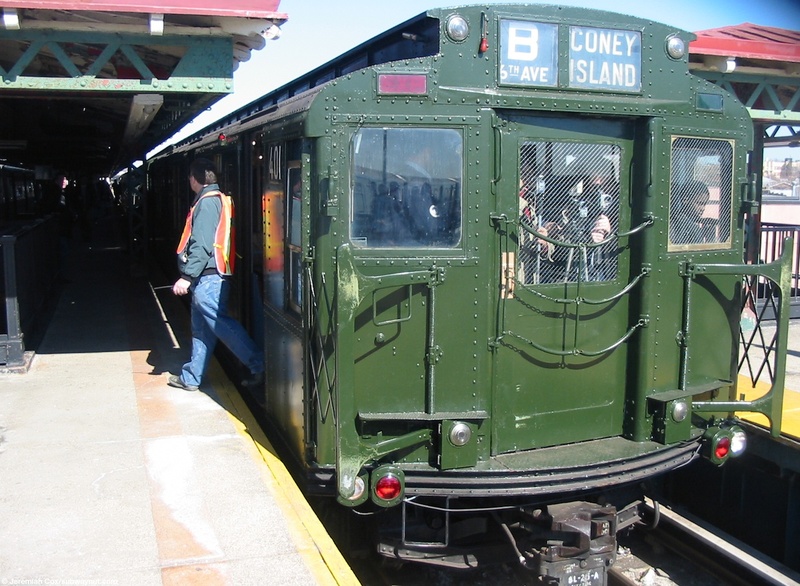 The diverted train to provide faster service will usually run express stopping at this station as the only intermediate stop between Coney Island and 36 Street. 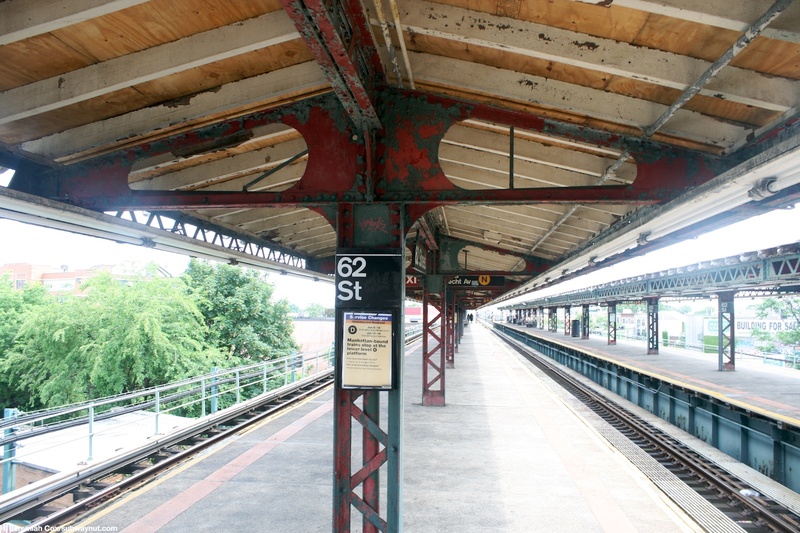 The West End Line has three tracks and 62 Street is an elevated express stop with two island platforms for the 3 track line. 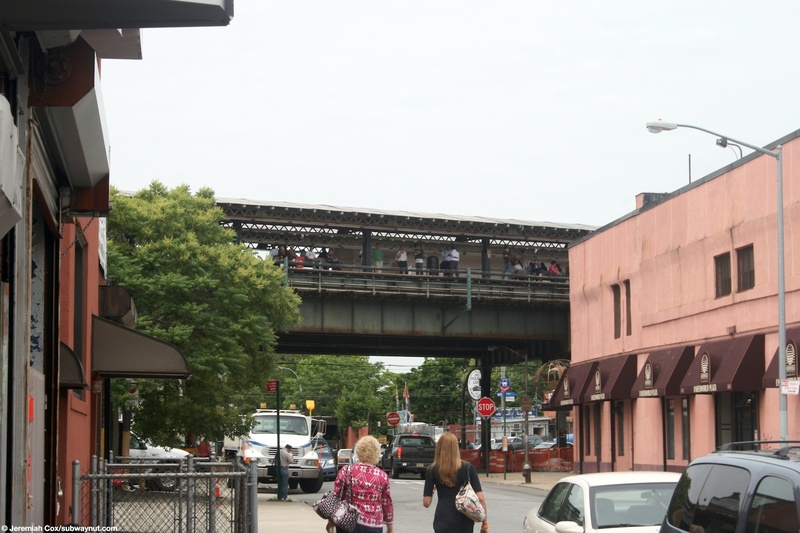 The center track's main use seems to be when the Sea Beach is closed and N trains are diverted to this track. 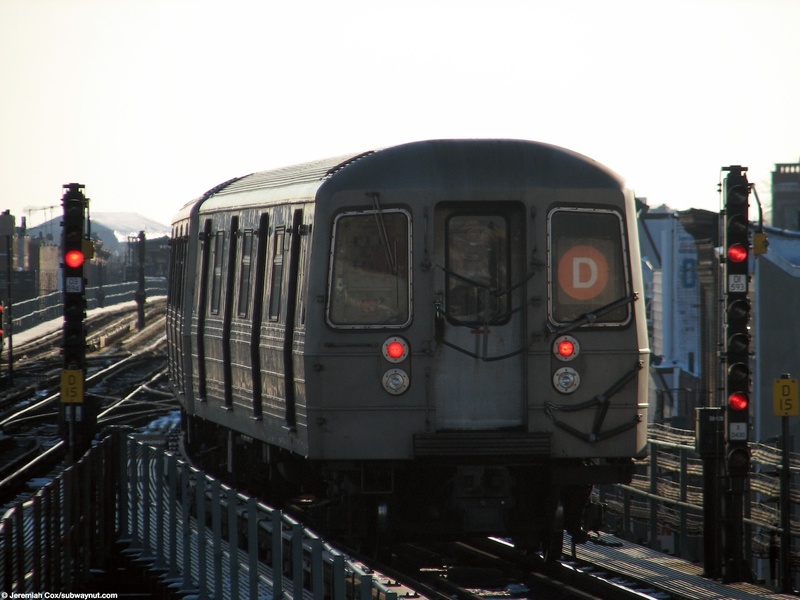 Generally track work requires sending the D train in one direction via the N and not just bypassing stations on the center track. 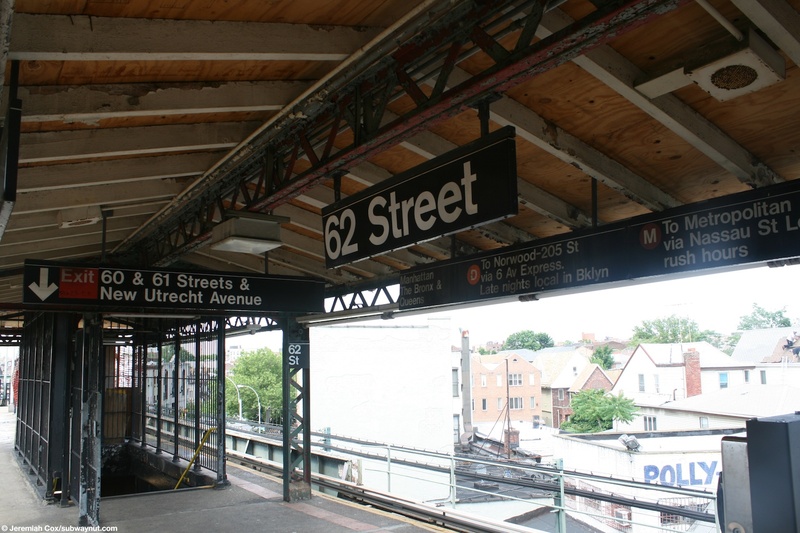 62 Street itself is currently going under some restoration, but not a full rehabilitation, using ARRA Federal Recovery Act funds. 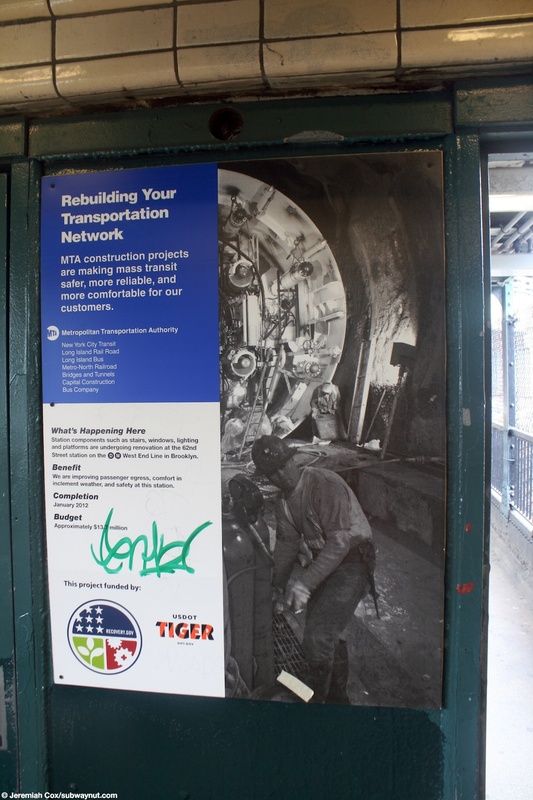 For example, the canopy roof is being replaced and the northern entrance beneath the elevated is being rebuilt (as of December 2010 it is closed) but there isn't the same full scale rebuilding of everything that is under taken in a full rebuilding (Jay Walder's claiming the MTAs leaving this approach to only do more minor, cheeper scale restorations). 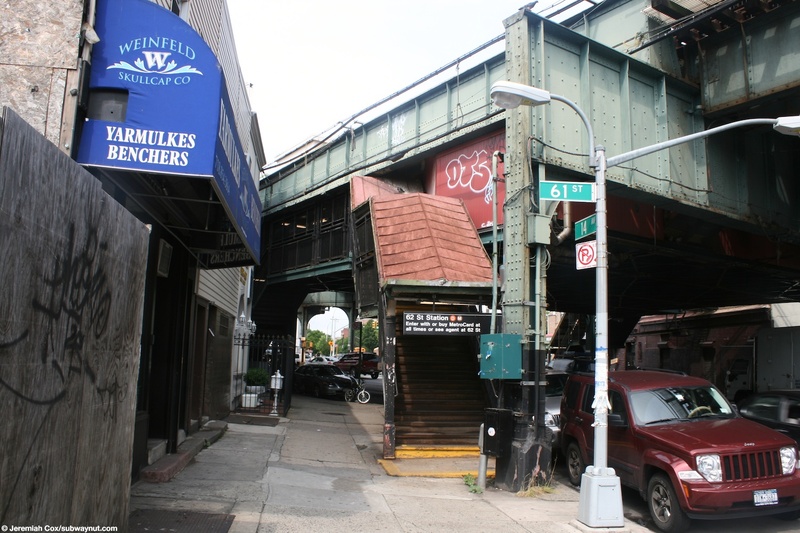 The station has two entrances and are canopied between these two entrances but not at its extreme ends. 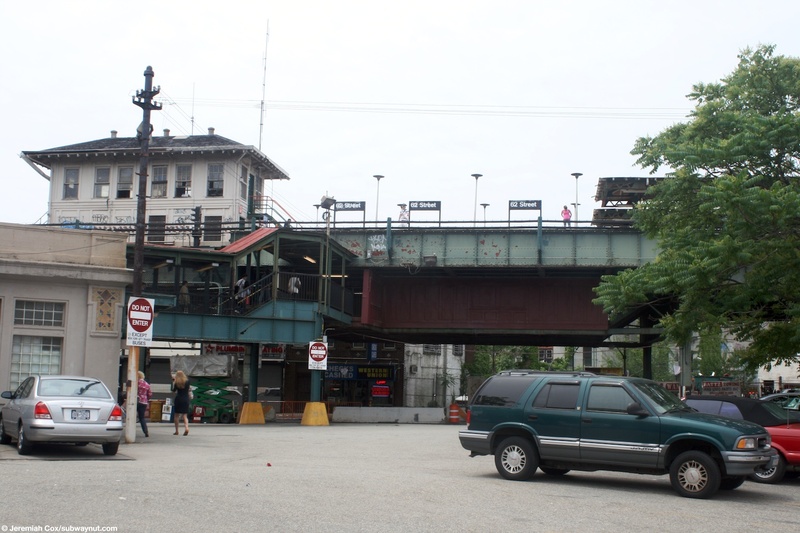 The southern (and only one presently open) begins in the Sea Beach's Line's station house at ground level where a staircase leads up to some doors that lead outside to a small covered passageway that has a full scale fence. 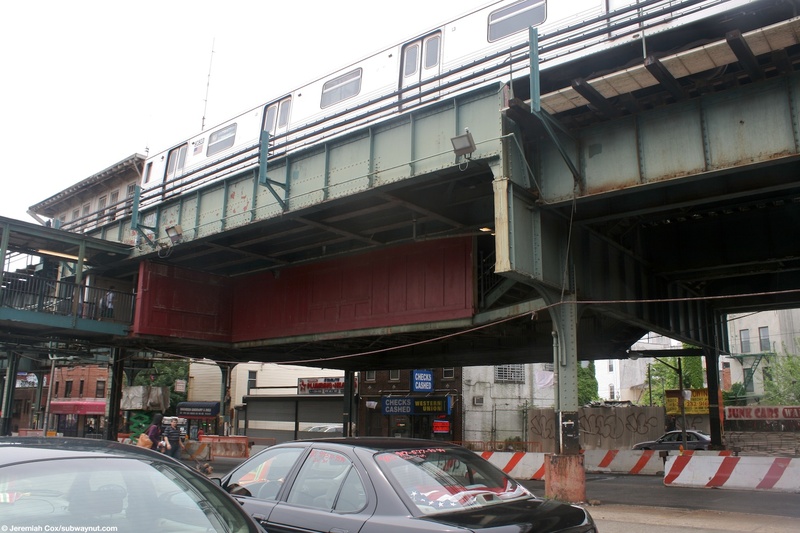 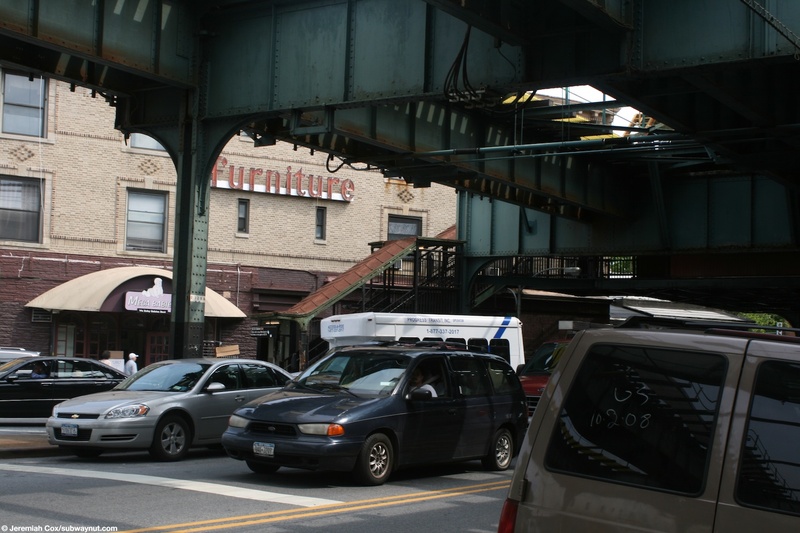 Once the passageway gets (its maybe twenty feet long) beneath the elevated it enters what feels like a station house with wooden walls separating the area from the street although only a low-fence keeps passengers out of jumping directly on the traffic in the roadway below. 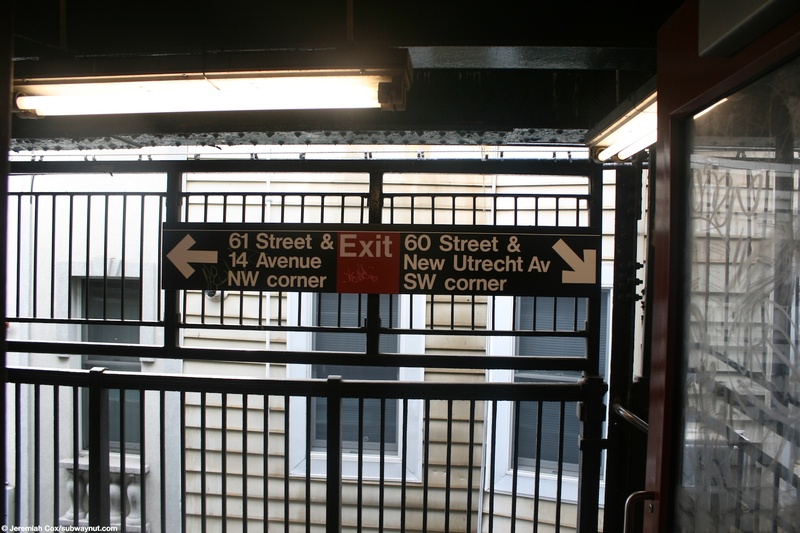 The passageway splits and shorter passageways lead to the staircases up to the two platforms. 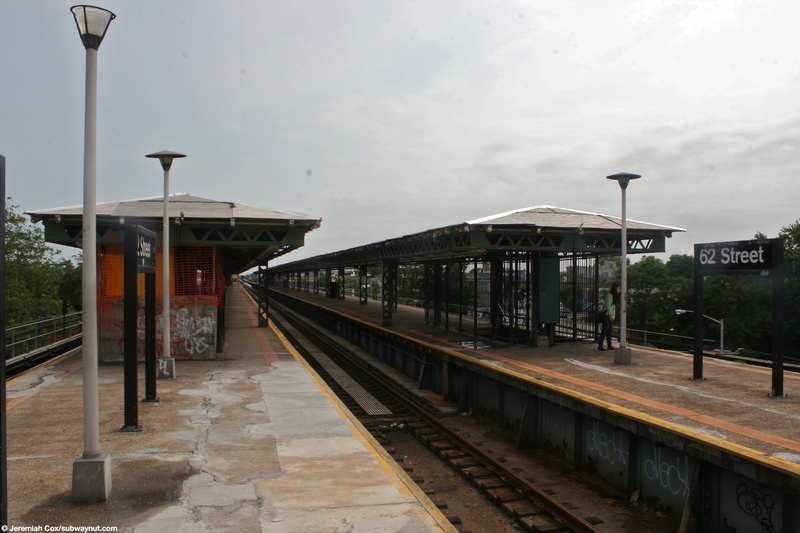 At the northern end of the station is a (now closed for renovations) standard, unstaffed with just High Turnstile equipment, station house nestled beneath the tracks. 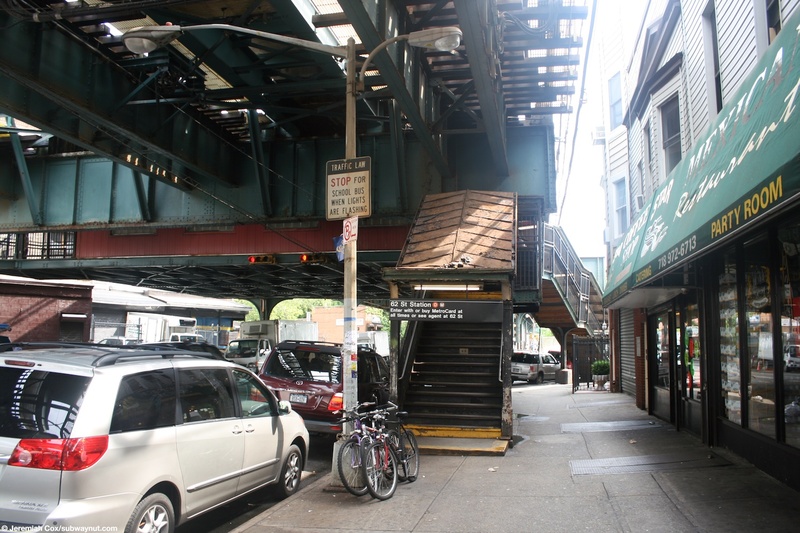 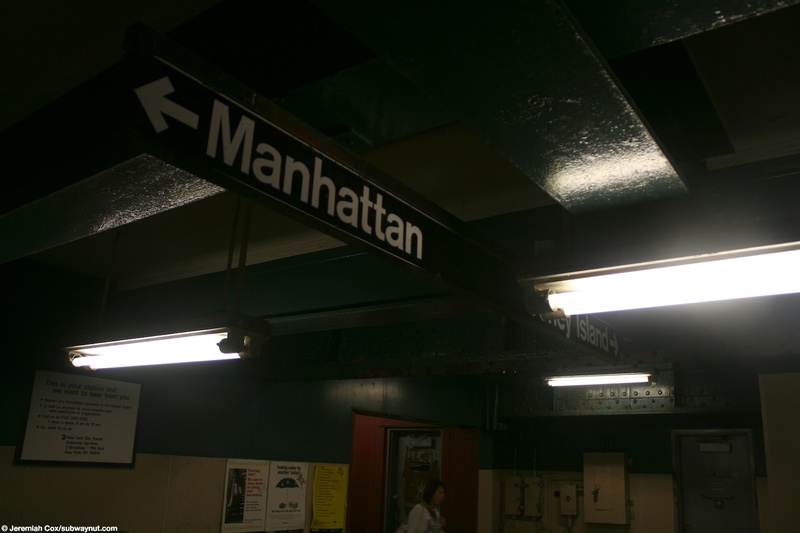 A single staircases leads down to it from either platform, and there are two street stairs to the NE and one to the NW on the odd-angled intersection of 61 Street and New Utrecht Avenue.